City are back with the pack. This victory - Leicester's fourth consecutive home win - was crucial in keeping the Foxes in contention. Any loss of points against Hull would have seen the start to the season become a worry, rather than mildly disconcerting, but by collecting all three Nigel Pearson has ensured that Leicester remain firmly in touch. With the Foxes' home form seemingly looking after itself, it is away from Fortress King Power that attention needs to be paid. The clean sheet must come next. The lack of goals - and the lack of goals from strikers - has been well-addressed this week, with David Nugent's return to form and Jamie Vardy's winner against Burnley. 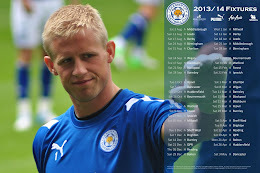 However, Leicester remain leaky at the back and have only recorded two clean sheets this season, both at home. The flowing football has returned to the King Power Stadium but the solidity traditionally associated with Pearson's teams is yet to arrive. A concerning slump in form has been overcome and Nugent has gone from scoring no goals in eleven appearances, to bagging four in two. His triumphant hat-trick against the Tigers was beautifully crafted and deservedly earned, with the poacher's instinct of his second mirroring nicely his rather polished third. Nugent did more than merely score the winning goals against Hull, however, causing a constant problem for the visitors with his determination and willingness to chase every seemingly lost cause. This was a total performance from Leicester City's leading scorer. The energy Anthony Knockaert brings to Leicester City cannot be underrated. He brings flair and skill to an otherwise traditional Nigel Pearson side and, playing through the centre, causes a whole array of problems for opposing defences. Against Hull, the Frenchman was on fire and, whilst some may accuse him of show boating with his seven (yes, seven) successive step-overs in the second half, it cannot be argued that Knockaert is a joy to watch. He is the type of player long been needed in royal blue and, if his form and fitness continue, he could rip apart this Championship. How Jermaine Beckford will play his way back into the team, with Leicester playing like this, is unthinkable. Left out of the squad, Beckford's days in the East Midlands seem to be numbered. He is out of favour with the manager and therefore out of form and match readiness. If Vardy starts scoring, there is surely no way back for the £2.5 million nearly-man. Neil Danns is in a similar situation, with new blood coming in to oppose the big egos of the Sven Goran Eriksson era. Danns is unlikely to be selected ahead of Andy King, who himself is struggling for game time with Matty James and Danny Drinkwater both on form. Clutching at straws to find a Loser who played, perhaps, but Vardy needs to find his scoring form to stay in the team. With such competition for places (even Martyn Waghorn is pushing for a first-team berth), the £1 million former Fleetwood Town man is being overshadowed by other, apparently cheaper (and older), players in the goalscoring stakes.